How much good can one industry do? Giving back to our community is an integral part of our success. In 2010 the Invincibelle Spirit Campaign for a Cure was created, tying an important fundraising effort to a brand-new Proven Winners® ColorChoice® plant variety. The first-ever pink ‘Annabelle’ hydrangea, the Invincibelle® Spirit hydrangea, and the new improved Invincibelle Spirit II® hydrangea have become a garden favorite across North America. You can count on seeing its stunning pink flowers every season, even after the harshest winters. This hardy flowering shrub is not just beautiful – it’s easy to grow, forgiving, and long-blooming - but what makes it really special, is its mission to end breast cancer forever. 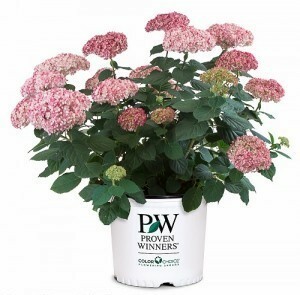 We’re proud to support The Breast Cancer Research Foundation® (BCRF) with a $1 per plant donation on every Invincibelle Spirit II hydrangea that is sold via garden centers across the US and Canada. With the generosity of our community of growers, over $1 million has been donated so far – and the campaign is still going strong! This helps us to support BCRF-funded investigators who have been deeply involved in every major advance in breast cancer prevention, diagnosis, treatment and survivorship for over two decades. The Breast Cancer Research Foundation is dedicated to being the end of breast cancer by advancing the world’s most promising research. Founded by Evelyn H. Lauder in 1993, BCRF-funded investigators have been deeply involved in every major breakthrough in breast cancer prevention, diagnosis, treatment, and survivorship. This year, BCRF will award $59.5 million to support the work of more than 275 scientists at leading medical and academic institutions across 15 countries, making BCRF the largest private funder of breast cancer research worldwide. 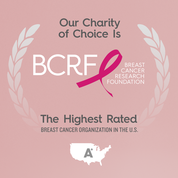 BCRF is one of the nation’s most fiscally responsible nonprofits and is the only breast cancer organization in the U.S. with an “A+” from Charity Watch and Charity Navigator’s highest rating of four stars. Visit www.bcrfcure.org to learn more.